Remember "thinnovation"? That was Apple's tagline when it first introduced the MacBook Air, a laptop so skinny it could fit in a manila envelope. Six years later, the company did something similar with its tablet lineup by introducing the iPad Air. As its name suggests, the Air comes with a revamped design that sheds almost half a pound of weight, along with a couple millimeters of thickness and a significant amount of bezel area. 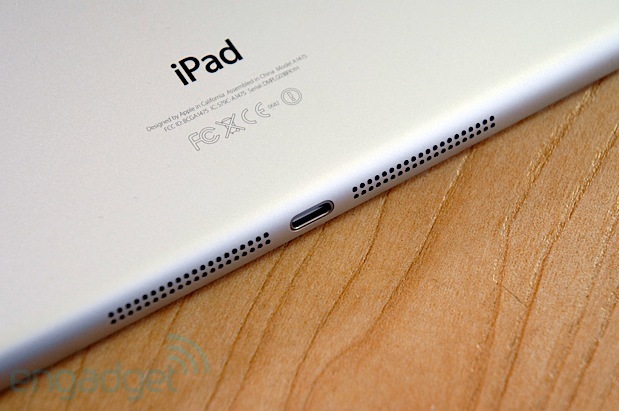 At the same time, it maintains the same 9.7-inch Retina display that defined the last two iPads. While that's impressive enough in its own right, Apple also managed to make the device more powerful, thanks to the same A7 chip that already powers the iPhone 5s. The one part of the iPad Air that isn't any thinner or lighter is its price, which starts at the usual $499 for a 16GB WiFi-only model. From there, the MSRP goes as high as $929 for the most expensive configuration (that's the WiFi + Cellular model with 128 gigs of storage). As always, the Air is entering a highly competitive market just in time for the holidays. So will its strong performance and super-thin frame be enough to make you upgrade come November 1st? Or is it simply not thinnovative enough? Read on to find out. 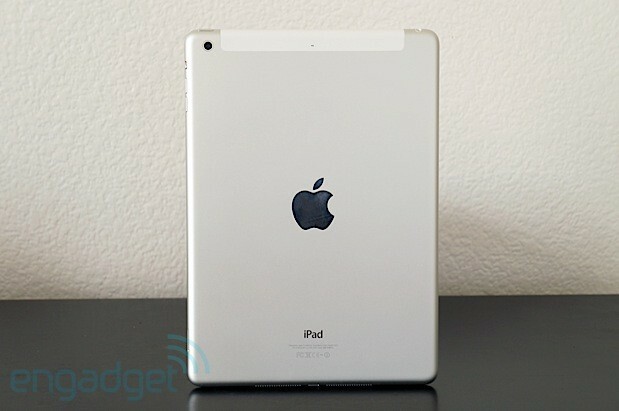 How would you rate the iPad Air? The iPad's design hasn't changed much over the years. 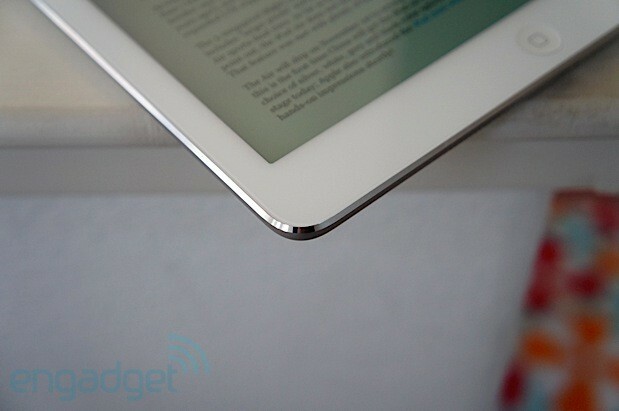 Before last week, the iPad 2 offered arguably the most radical change in terms of size and shape, while the third- and fourth-gen models offered few adjustments aside from a Retina display and Lightning port. (The Retina display was one of the most important enhancements to the iPad line, but the "new iPad" otherwise looked nigh-identical to its predecessor.) At any rate, if you thought the iPad was due for a major revamp, the iPad Air should come as a breath of fresh... well, you get the idea. What's interesting is that while the iPad has indeed undergone a transformation, it's still very familiar. 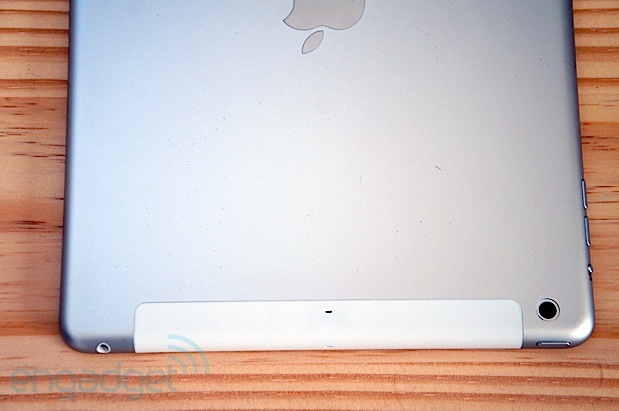 This isn't a coincidence: We've already seen the Air's design on the iPad mini. 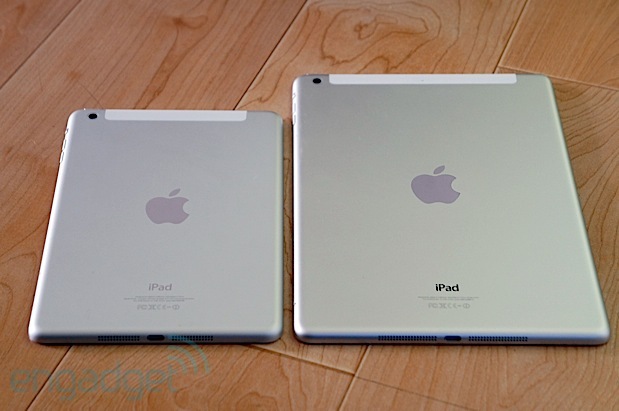 Yes, as strange as it may sound, the latest iPad is actually just a larger version of the 7.9-inch mini. It's as if the smaller device -- which launched at the same time as the fourth-gen iPad -- was a pilot test for Jony Ive's new design language. Calling it the "Air" was fitting indeed, since it's ridiculously small and light compared to previous models. It measures 7.5mm thick and weighs only one pound (1.03 pounds, to be exact), making it 1.9mm thinner and 0.43 pound lighter than the iPad 4. Apple's also trimmed the left and right bezel by roughly 8mm on each side. If that doesn't sound significant, just hold the Air for a minute and then pick up an older iPad; the difference is immediately noticeable. 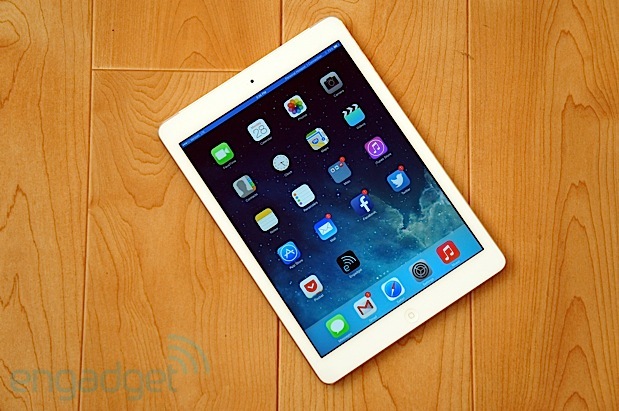 Simply put, the iPad Air is the most comfortable 10-inch tablet we've ever used. There are other design differences as well. A pair of speaker grilles flanks the Lightning port on the bottom, instead of on the lower-left corner of the back, where they used to be. On the silver model, the buttons are silver instead of black, and the volume rocker has been separated into two individual keys. Apple's also thrown in a second mic near the top of the back for noise cancellation. The SIM slot, meanwhile, has been trimmed down to support nano-SIMs (instead of micro-SIM) and it's moved to the lower-right side of the body. The remaining improvements to the Air are all internal: It gains the Apple A7 chipset (which claims twice the performance power as the A6X, not to mention 64-bit compatibility), as well as the M7 motion-tracking coprocessor. 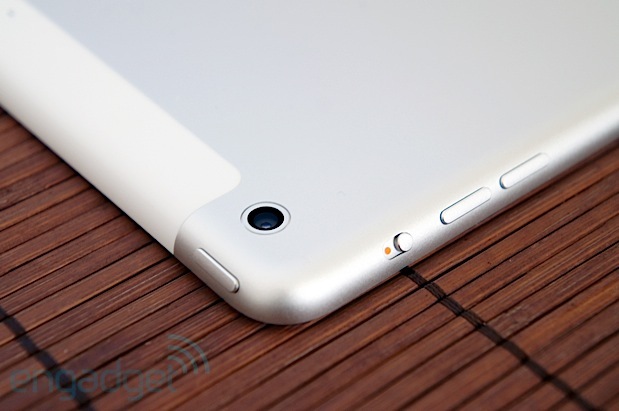 When it comes to connectivity, the iPad Air gets two enthusiastic thumbs up. In years past, iOS devices were spread out across several different SKUs, each one carrying a specific set of frequencies to ensure compatibility with hundreds of operators around the globe. This is no longer the case, as Apple now uses a baseband that offers support for 14 LTE bands (1/2/3/4/5/7/8/13/17/18/19/20/25/26), DC-HSPA+, UMTS, GSM/EDGE, CDMA and EVDO (Rev. A and B). If you're not sure of a specific operator's network settings, don't fret: Apple tells us that the Air will detect which carrier you're using and will download the proper settings for you. In addition to the standard Bluetooth 4.0 and aGPS/GLONASS support, you'll also get dual-band 802.11a/b/g/n WiFi, with one major difference: The Air includes MIMO (Multiple input, multiple output) connectivity, a feature that is starting to become more commonplace in tablets. This means that the iPad takes advantage of more than one antenna, allowing the device to send and receive data much more quickly. In particular, Apple says you can enjoy double the data speeds (up to 300 Mbps), though we admittedly weren't able to thoroughly test this claim. Despite all of the changes we've discussed so far, one particular piece of the hardware is exactly the same: that's the home button. Indeed, Apple chose not to add Touch ID, the fingerprint scanner first introduced on the iPhone 5s. This component is also missing from the new iPad mini, and while the company isn't saying why it left out that feature, we wouldn't be surprised to see it appear in the next generation. Don't make this an excuse to leave your tablet unprotected, however; we still highly recommend keeping your device password-protected. The display also remains unchanged. Just like the two prior models, the Air sports a resolution of 2,048 x 1,536, giving the device a pixel density of 264 ppi. We really don't have much to say that hasn't been said in earlier reviews -- it still looks just as on good as the third- and fourth-gen models. We enjoy the extreme viewing angles, though outdoor brightness is more or less on par with other tablets. Though the iPad's display a big deal a year and a half ago, it's not top dog anymore -- not now that other devices like the Nexus 10 and Samsung Galaxy Note 10.1 2014 edition offer 2,560 x 1,600 panels with higher pixel density. Heck, as soon as the Retina iPad mini launches, the Air won't even be the sharpest tablet in Apple's lineup, let alone anywhere else. The Air comes with the latest version of iOS, 7.0.3, which is available for every device capable of running the new love-it-or-hate-it operating system. Aside from a few essential bug fixes, the refresh comes with iCloud Keychain, a feature that lets you share passwords and credit card info across your iOS devices, as well as a new Safari password generator. Otherwise, there are essentially no software enhancements that you'll be missing out on by not owning an Air. Tablet cameras are always good in a pinch, but they're often not given the royal treatment when compared to the latest and greatest smartphones. Apple opted not to make any major changes to its rear iSight camera, so the 5-megapixel BSI f/2.4 shooter with AF found in the previous two iPads is still there. We've been generally pleased with the overall image quality, and indeed, our thoughts haven't changed here. While attempting to fire off a series of shots, we found that we could take 12 photos in a five-second period. Also, as before, you won't get a flash of any kind and nighttime shots are rather fuzzy and noisy. We'd also like to see more modes on the Air's camera, such as panorama, burst mode and slow motion; as it stands, settings are virtually non-existent unless you count HDR, square mode and post-image editing. The FaceTime camera is still 1.2 megapixels, with a BSI sensor that can shoot 720p video. The spec fiends inside us would've loved to see Apple bump this up to a higher resolution, especially given the importance placed upon the company's signature video chat service, but the amount of data consumption alone is probably enough for the company to shy away from making the jump here. As for videos, we're once again looking at the same specs as on previous iPads: the FaceTime HD module on the front of the device can record 720p footage, while the rear camera is capable of 1080p. Thanks to the dual-mic system, my voice came in loud and clear when taking videos with the front-facing camera, and the overall quality was mostly smooth, but occasionally shaky. Flipping the iPad around, the rear camera was able to take above-average videos with no problem handling fluid motion, but the mics weren't able to filter out the traffic or even a slight breeze. In our review of the fourth-gen iPad, we mentioned that its performance went past Ludicrous speed and directly to Plaid. Cute as the comparison was, it contained one major flaw: Plaid was the fastest speed (that we know of) on the Spaceballs scale, and the Air is even faster, so we're now in a mysterious Beyond Plaid (flannel?) territory. Apple claims that the dual-core A7 chip used here delivers twice the performance and rendering speed and also cuts file-opening times by half. As we said, this is the same processor that powers the iPhone 5s, but the Air offers both cores at a slightly higher clock speed (1.4GHz, instead of the iPhone's 1.3GHz) and comes with 1GB of RAM. We go into great detail on Apple's A7 chip in our review of the iPhone 5s, but to recap: the A7 promises to be faster, more power efficient and -- let's not forget -- compatible with 64-bit applications. That last feature has been big news for developers: Including the two new iPads, there are now three iOS devices with 64-bit support. A handful of games and apps have already made the switch, but wider proliferation of this new chip should give devs even greater incentive to update their programs, and as soon as possible. 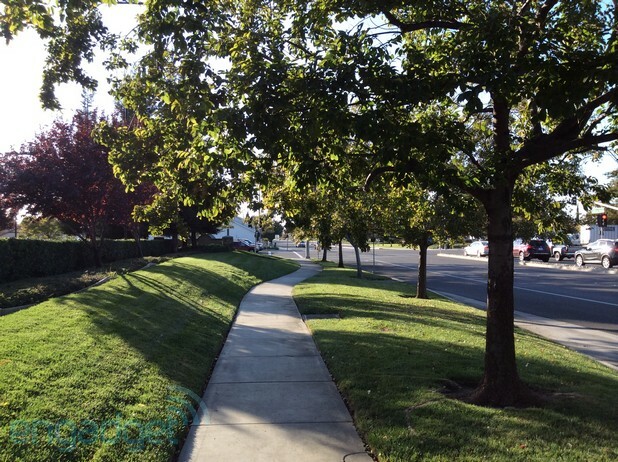 Aside from a couple animation glitches (freeze frames) related to iOS 7, the Air runs smoothly. Apps load a little quicker than they did before, but again, the areas where you'll notice the biggest improvement involve more-intense, processor-heavy activities. Games like Infinity Blade III and apps such as Vjay, iMovie and GarageBand don't skip a beat -- or a frame, in some cases. Interestingly enough, we also noticed that the backside doesn't heat up as much as on previous models, even after we taxed the processor for an extended period of time. In terms of cold, hard numbers, we've listed a few benchmark scores in the table below. With the exception of one outlier, the Air provided some good metrics to go along with our positive real-world experiences. In particular, we've never seen better SunSpider results on a mobile device. Every other benchmark, meanwhile, seems to indicate what we'd already suspected: This is a solid improvement over anything Apple has pushed out yet. When it comes to battery life, Apple's sweet spot appears to be 10 hours; this is the exact amount of runtime the company has claimed for each of the full-sized iPads. Indeed, nothing's changed this time around -- except, of course, the size of the battery itself, which has shrunk to 32WHr (down from 42 in the fourth-gen iPad). So did this have an adverse effect on battery life? No. Surprisingly, it did even better. In our standard video rundown test, the Air stayed alive for a whopping 13 hours and 45 minutes. Under heavy use, the device kept us going for a little more than a day and a half (admittedly with a few hours of sleep during this time). In terms of specific use cases, when we plugged directions into Maps, connected our unit to a Bluetooth device and took a 120-minute rush-hour joyride through Bay Area traffic, the battery sunk about 40 percent in that two-hour time period. However, much of that was affected by the screen staying on for most of the punishing experience, so we would've fared better by shutting off the display. We also used the Air as a mobile hotspot for six hours and still had over 70 percent battery remaining. 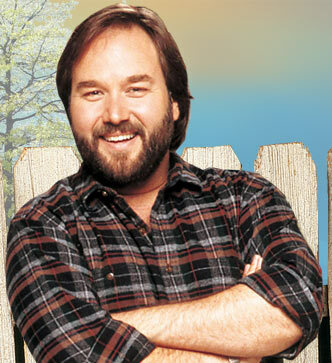 All in all, we were almost always satisfied with the Air's power consumption. While we're on the subject of navigation, the GPS signal remained strong throughout our entire drive, and it kept up with us for the full experience. The speakers also sounded about the same as the last iPad, although on the Air they're placed at the very bottom of the device, which means it's possible to muffle the sound with your hands. Even so, this likely won't be an issue for many people; most of the time we actually had to go out of our way to block the speakers to the point where the sound got lower. As we mentioned earlier, the Air is unlocked and has LTE bands that cover most operators around the world. Our unit came with a Verizon SIM and service, and in our neck of the woods we were able to achieve downlink speeds of 23.3 Mbps and uplink speeds of 11 Mbps with three bars (balls?) of reception. The iPad Air has a wide variety of configuration options, which means there are plenty of possible permutations to choose from. Your color choices include "space gray" and silver, and you can select WiFi-only or WiFi + Cellular (that combines GSM/EDGE, UMTS/DC-HSPA+, EVDO and 14-band LTE). Storage options range from 16GB to 128GB, with each tier separated by a $100 price gap. The WiFi-only models start at $499 and max out at $799, while the cellular version starts at $629 and goes up to $929. Of course, this is the retail cost; models sold through individual carriers and other stores may sell for slightly different prices. Fortunately, US users won't be restricted to a small handful of carriers, since a large number of regional networks have pledged support for the iPad Air in addition to the big four national operators. It's also worth noting that these aren't your only iOS options: The 16GB iPad 2 is still available for $399 (WiFi-only) and $529 (WiFi + Cellular). The original 16GB iPad mini can be yours for $299 (WiFi) and $429 (WiFi + Cellular), and later in November, the iPad mini with Retina display will be available starting at $399 (WiFi) and $529 (WiFi + Cellular). There, too, the price will go up by $100 for every storage option. On the Android side, you have a plethora of options in the 10-inch category, so we'll offer up just a few notable examples. The Nexus 10 makes for a solid iPad alternative, as it offers a higher pixel count for less money ($399 with 16GB of storage). Unfortunately, however, it doesn't have any cellular connectivity, which might be a bummer for some. Meanwhile, Samsung's Galaxy Note 10.1 2014 edition features the same resolution as the Nexus 10 and starts at $550. Toshiba also has the Excite Pro, which offers that same resolution for $500 (and that's with 32GB of storage). Finally, the ASUS Transformer Pad Infinity TF700 begins at $499. Lastly, let's briefly examine the Windows competition. The Surface 2 starts at $449 with 32GB of built-in storage and battery life that blows away even the iPad Air. Additionally, Nokia recently announced its Lumia 2520 Windows RT flagship with LTE and Full HD display. That will be available for $499 sometime before the end of the year. If you thought you had a tough choice last year, the iPad Air faces even tougher competition in 2013 -- and it's likely to get yet more fierce over the coming year. Though the Air will continue to be a solid option thanks to its size, weight, performance and battery life, the Nexus 10 offers a great experience at a lower price (although its lack of cellular connectivity is a potential con). And if you want the absolute best components, you might be just as happy with other flagship tablets. Additionally, the Air may lose a few potential buyers to the iPad mini with Retina display, which will essentially be the Air in a smaller size. The features, specs and performance should be roughly the same, so if you've been holding out for a more petite iOS tablet with a great screen, you'll want to hang tight a bit longer. We don't envy the decision you have to make, but it's hard to go wrong with the Air if you're in need of as much screen space as possible.